Amazon Cloud Drive: How did it Fare? After coming back from an extensive holiday, we had load of images and videos to stack up. All my devices were already over loaded and I was looking for some extra place to store them up. When I tried to find something on Amazon website, I found this app. At the first glance the Amazon Cloud Drive looked quite smart and apt for the purpose I searched for. And here goes a brief review of how I found it to be. Today, Cloud storage apps are trending because of their lucrative offers of unlimited space for storing your stuff online. There are plenty of options available and Amazon Cloud Drive is one of them. It is quite evident that to catch up with the Cloud Storage trend, Amazon has participated with their newly launched Amazon Cloud Drive app, which has got to offer a good solution for the extra place you require especially for the ever increasing number of photos and videos as you keep adding them. But they have kept a discrimination for the members and outsiders. The benefits and access to features too have been divided into these two groups and if you have a Prime membership with Amazon, you get the benefit of unlimited storage which you can use for stacking up your favorite memories through images and videos. If you aren't a Prime member, even then you can avail the same privilege, but by paying an amount of $11.99 per year. 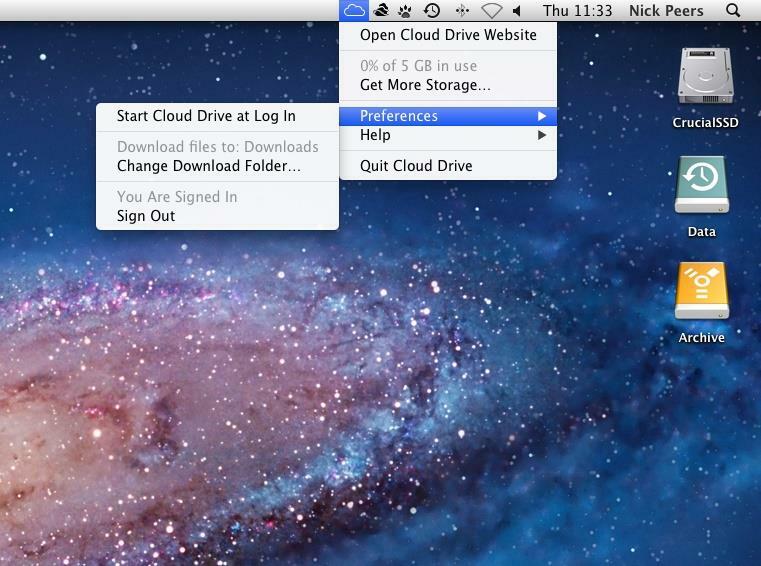 The Amazon Cloud Drive has got its desktop app made compatible for both Windows and Mac computers, and it has developed the app mobile friendly as well. Of late, Cloud Drive has been built to be fit into Fire phones, exactly the way Apple iCloud Drive and OneDrive are into iPhones and iPads and into Windows Phones respectively. Currently to be on the track Amazon Cloud Drive is being provided as a native app with the Amazon Fire TVs which can be grabbed at $84.99 at Amazon. There is also this Amazon Instant Video app which are made for other smart TVs and supported devices. And all this has been done to give us the opportunity of viewing our photos on the bigger screens. The desktop app has the "drag and drop files" option in its uploader and one can choose to make a copy of them in their Amazon Drive Account. 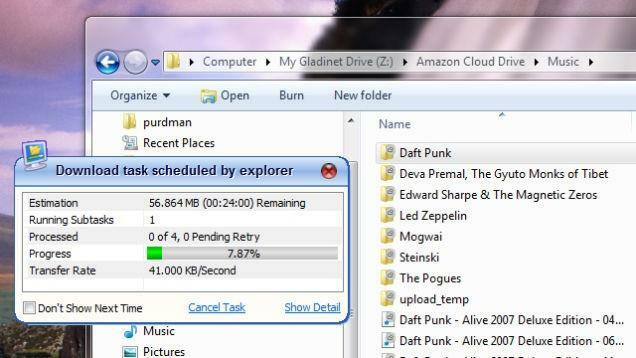 There's a button for downloading all files at a time from the cloud, but one needs to restore them. The same kind of features are found in both Windows and Mac. All these functionality along with some more can be obtained from the Web app as well. The Web app too has an uploader with drag-and-drop feature. I have experienced uploading videos of 156MB at a time, and the Drive did the job at quite a good speed. In this Web app creating folders for organizing your stuff, renaming the file names, moving them to other places are effortless. One thing to remember in this is, after uploading all your video files and while seeing them in list view, some might not appear to be playable, but actually they are. All you have to do is to open a left-side collapsible menu, click on Photos & Video, when the videos would appear as tiles, as well as your photos, they become playable. One of the major caveat in this app is that, the Documents get the lowest amount of importance in the Amazon Cloud Drive. Then there is no preview option available for the documents. Nor can you add notes to these files. In a nutshell it is observed that Amazon Cloud Drive isn't geared with any file-creating-editing tools, which you might have used in Google Drive or OneDrive. The mobile apps for iOS and Android are having an automatic image uploader tool which automatically uploads the latest images taken with your phone or tablet. Fortunately enough this Auto-upload for images has the standard feature of file-syncing and backup of mobile apps because of which it could line up with its competitors like Dropbox, Flickr, SugarSync, IDrive and Box. Nevertheless it is providing a good service for backing up images and videos. Especially for the Amazon Prime members it is a boon as they get unlimited space for images. The Web interface is pretty well designed and sophisticated with a flawless quick functionality. Auto-image backup feature for the mobile devices did work fine. But coming down to the basics the Amazon Cloud Drive is undoubtedly a good option to back up photos for the Amazon Prime member. Only then you can get the file-syncing option, a decent backup service which will save your files in different versions with a special attention to the most recent version keeping them up to date for all your devices. The biggest drawback of this app is that it doesn't have the file-syncing option. There is neither any option for sharing folders, but only files. 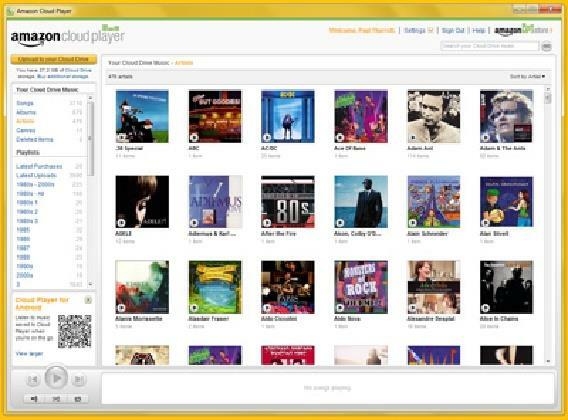 The Desktop apps lack the major features like file versioning and even scheduled backups. After installing the Mac desktop app I found it to be very limited, and same happened with the Windows application as well. It is only worth downloading the Web app entirely and better not to install the desktop apps. To round it up, Amazon Cloud Drive is a good online storage service option for your data, where the emphasis is purely on photos and videos. It can be treated mainly as a tool especially crafted to save your memorable moments rather than saving your digital space for other documents. That is one of the reasons it could not catch up with its competitors well as they do it all with much more advanced features and facilities. So if you are specially addicted and dependent on Amazon, you can pick up the option to upgrade your membership into a Prime one to avail all the benefits. But for the non-members of Amazon, it won't be of great use unless you are ready to shell out that $11.99 per year.